Name, Blog Name & Location? Nikki Ellis of Style-Rehab from Clearwater, FL. 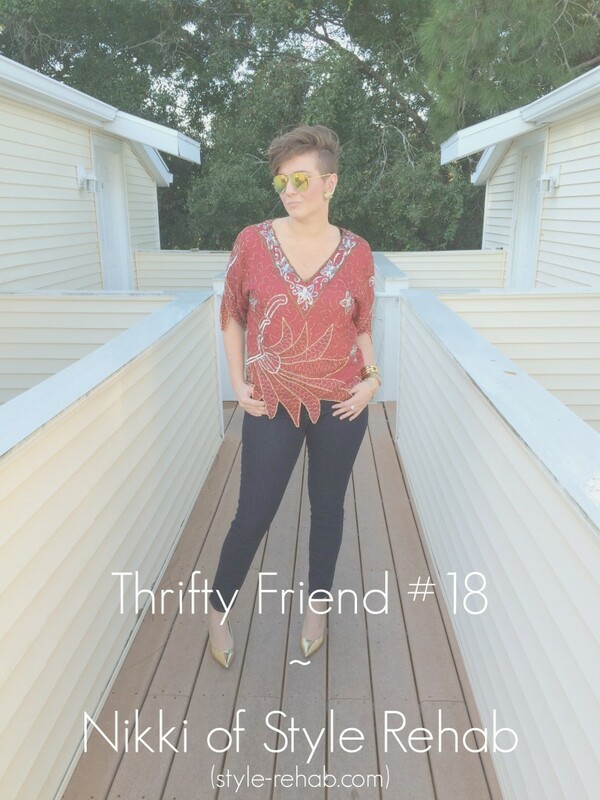 How long have you been a thrifter? I have been a thrifter for 3 or 4 years now. I wish I could say longer. How did you get into thrifting? Did someone inspire you? I honestly don’t know who or why I started thrifting. I think I heard co-workers talking about it and decided to try it. I’m not 100% sure. 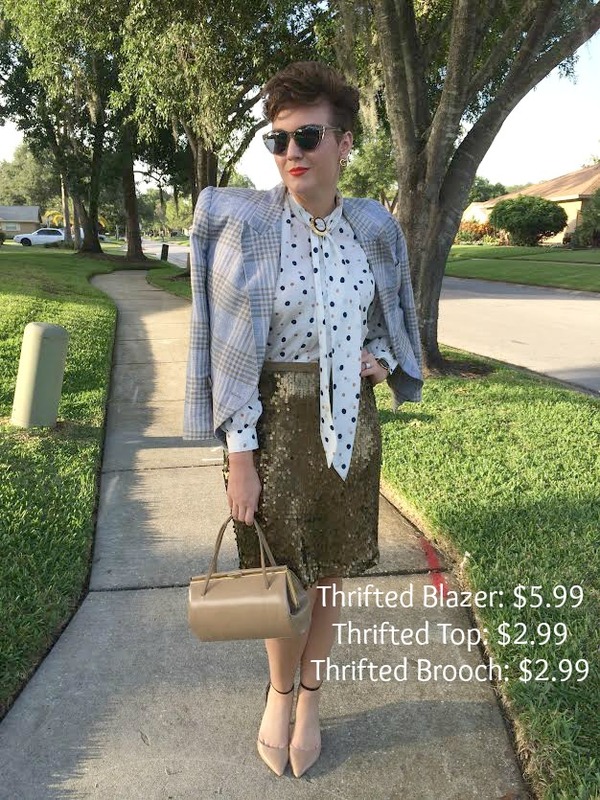 How often do you thrift? My thrifting comes in waves. Once I start I get super addicted and I can’t stop. However, now I am trying to use some restraint as I am completely out of closet space. I also try not to wear the same thing twice so this enables my thrifting habit and is more financially feasible. I also hit any local church thrift stores in the area. They always have the best jewelry! Ok, now you have all my secret haunts! What would you say to someone who wants to try thrifting but has no idea where to start? There’s so much! Don’t go in looking for specific items. You will be let down. Just go for the excitement of it. I started small with just blazers then slowly progressed into other areas like skirts and tops. Thrift stores can be so overwhelming due to the size so just start small. Eventually you will be a pro. What items do you look for most when you thrift? 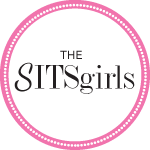 Clothing, Accessories, Home Decor or a little bit of everything? I look for everything. I love the home décor because it makes your place look eclectic and interesting, but I do not discriminate I look at it all jewelry, clothing, etc. Are there certain items you will not thrift? If so, what? I can’t do swim wear that really freaks me out. Shoes were the last thing for me to thrift. I had a really hard time with shoes for years. What are 3 words to describe your style? Any fashion/style inspirations? Celeb or non-celeb? I have always loved men’s wear and men’s inspired fashion so I do grab inspiration from Ralph Lauren the mens collection. I think Teen Vogue has great styling and ideas. I like the styling and color combinations in J. Crew, but I find inspiration anywhere really. 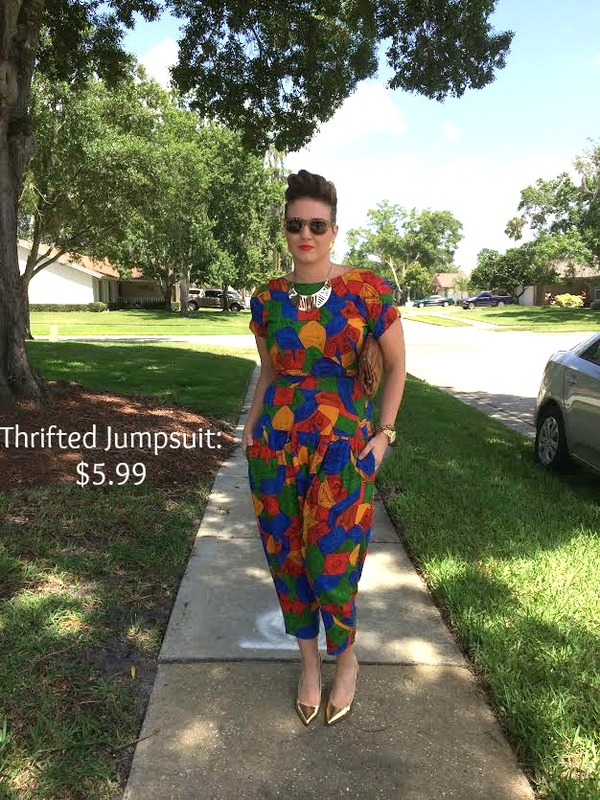 What’s the biggest misconception, in your opinion, you think people have about thrifting? That it’s gross or that everything is garbage. I have found some amazing pieces that would have been ridiculously expensive in a store for a fraction of the price. I think thrifting has enhanced my personal style because I gravitate towards very different items. I am truly thankful I started thrifting. 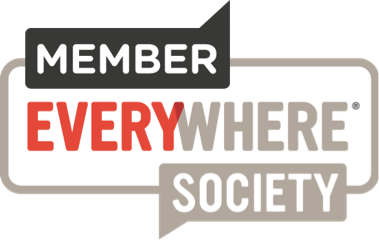 How can WNJ readers keep up with you? Just met Nikki locally. She has great style. Great feature. Hope you are doing well and Happy Thanksgiving doll. Thanks Natasha!! It was such a pleasure meeting you! She is so fly! Thanks for stopping by, love and all is well! Hope you’re good too…xo! 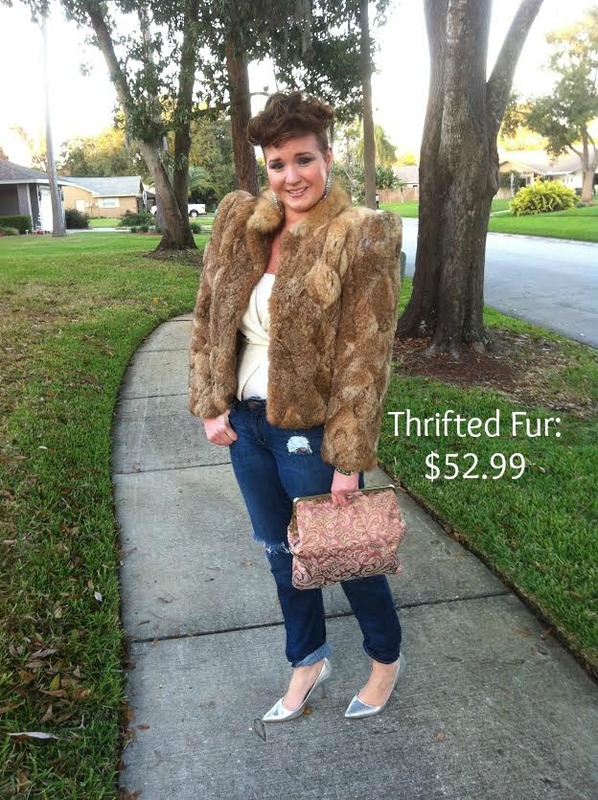 Yes, I do love her style – great choice and I got some inspiration from the faux fur. Hey girl! Thanks for the love! I love her style! I WISH I could find thrifty finds as cute AND cheap as hers. Ohhhh and I love her hair! Thank you so much for the love. Thrifting amazing treasures takes time and patience! Yea, she is all that! Hair is on point too! 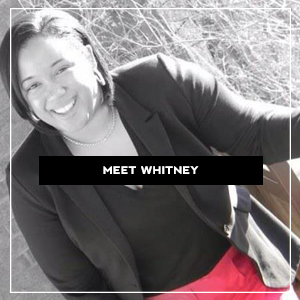 Whitney thank you so much for the feature and the love! We should do a collaboration or something sometime!! Happy Holidays! You’re welcome, Nikki! You are so stylish and it was a pleasure featuring you. I will definitely be in touch about that collab idea. Happy Holidays…XO! She is Awesome! Such GREAT Style! Thanks for sharing!